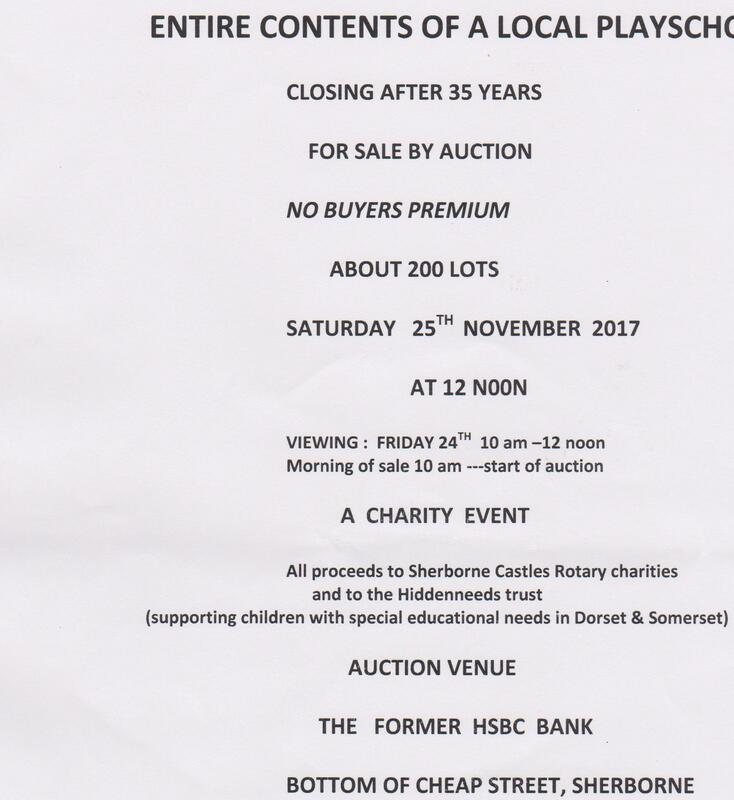 The entire contents of a local playschool are being auctioned in Sherborne this Saturday 25th November. Approximately 200 items are being sold with proceeds going to Sherborne Castles Rotary Charities and the Hidden Needs Trust. Come along on Saturday and buy your Xmas presents here. The Sale will be held at the former HSBC Bank at 10am (viewing Friday 24th November 10am to 12 noon.